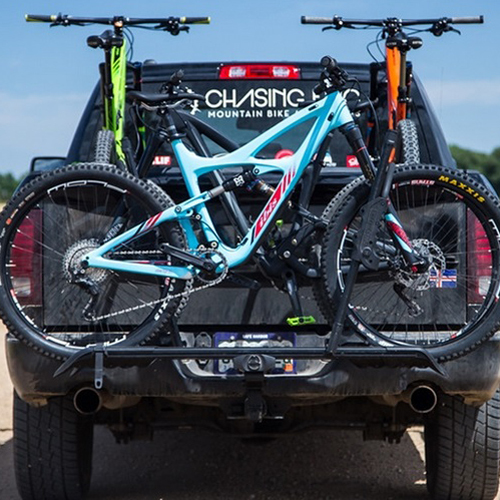 The RockyMounts 11404 SplitRail LS2 Bike Platform Style Hitch Mount Bicycle Rack for 2" Receivers is RockyMounts premier lightweight chromoly and aluminum platform style hitch mounted bicycle rack. 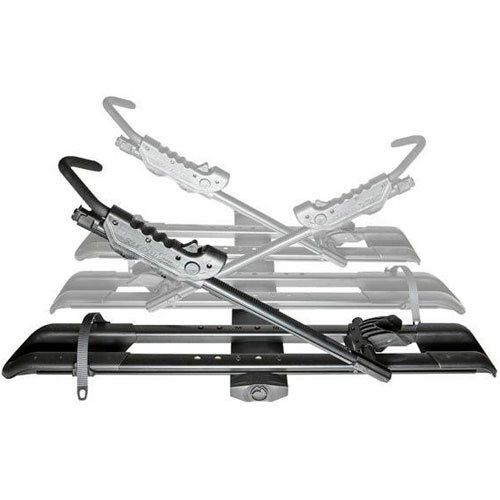 The RockyMounts 11404 SplitRail LS is specifically designed to fit 2" trailer hitches and has a tool-free installation. 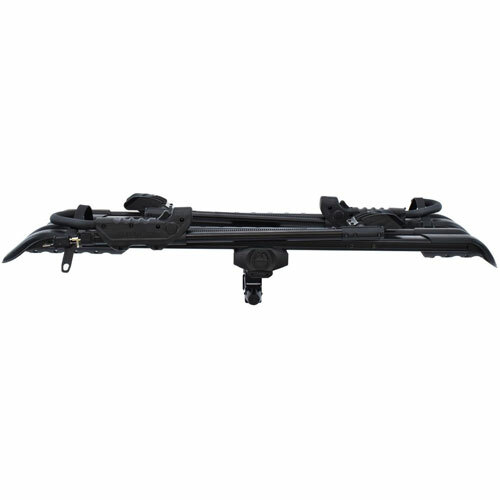 RockyMounts proprietary anti-wobble device provides a strong secure attachment to the vehicle. 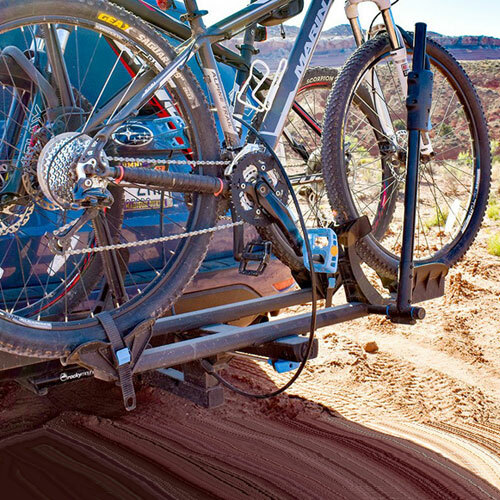 The SplitRail LS platform bike carrier is incredibly easy to load and unload, using RockyMounts No-Bike-Frame-Contact Ratcheting Hook Arms. 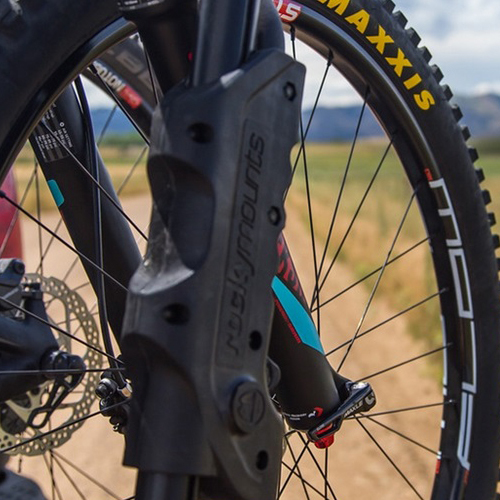 RockyMounts No Bike Frame Contact Ratcheting Arm accommodates most bikes regardless of the frame design, suspension type, axle style or wheel size. 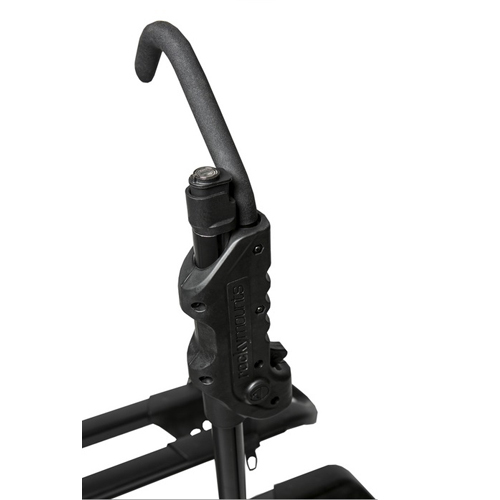 RockyMounts SplitRail LS Ratcheting Arm will comfortably fit tire sizes ranging from 20" - 29" and up to 3" wide. 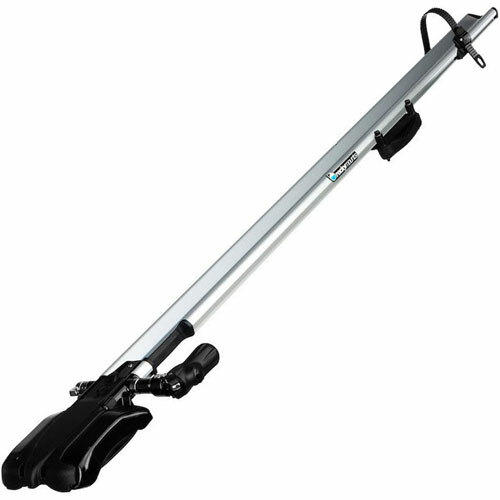 RockyMounts Easy Release Handle allows convenient, full accessibility to the rear hatch of your vehicle by simply tilting the SplitRail LS away from the vehicle - without bikes loaded. 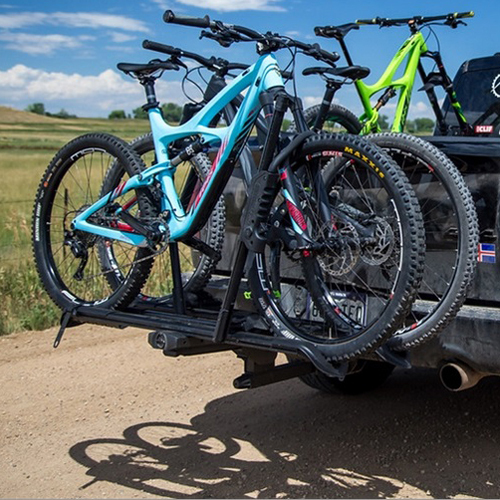 When the RockyMounts SplitRail bike rack isn't being used it can be folded up to minimize the profile of the rack off the back of the vehicle and save space when stowed. The SplitRail LS fits up to a 48" max wheel base. Wheel straps are used to secure your bike's back wheels to the tray. 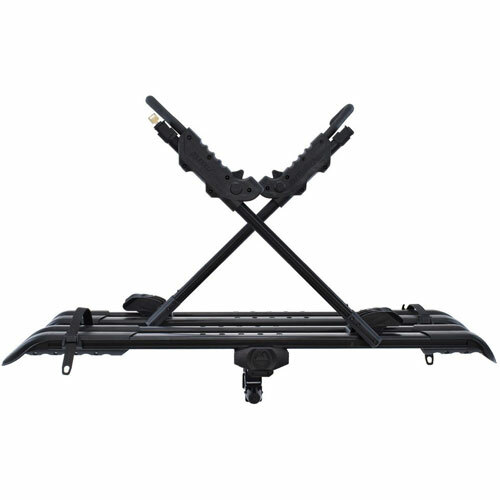 The SplitRail LS bike trays offer 4" of side-to-side adjustment to help eliminate bike contact. The SplitRail LS comes fully lockable and includes Integrated Cable Locks to lock your bikes to the rack. 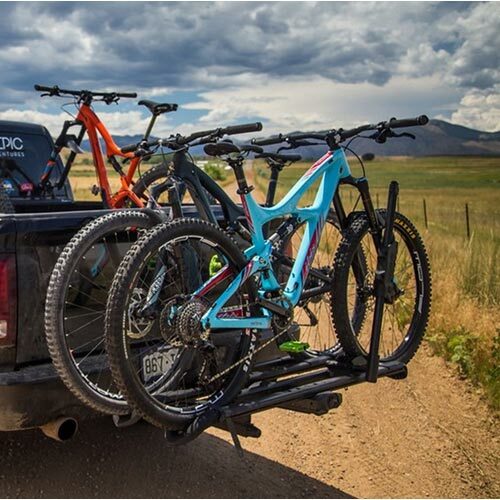 The Locking Hitch Pin locks the bike rack to your vehicle. 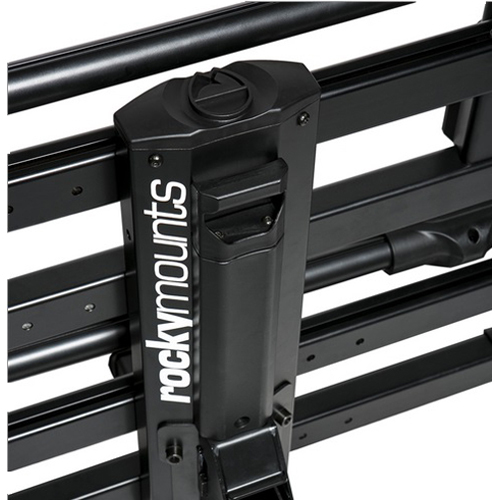 The RockyMounts SplitRail LS includes a Wall Mount Storage Hook for stashing the rack in the garage when not in use. 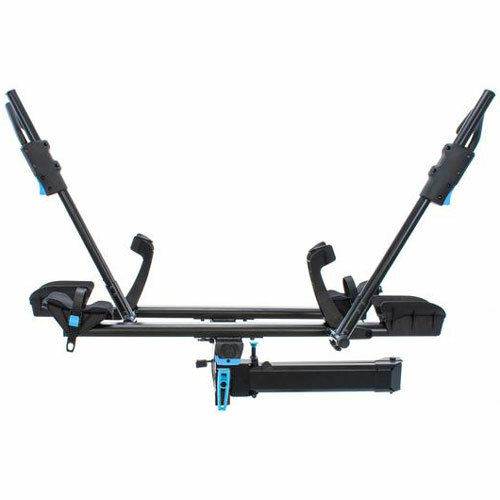 With the addition of RockyMounts 11500 SplitRail 1 Bike Add-on Accessory, sold separately (see below), up to 2 additional bikes may be carried on the RockyMounts 11404 SplitRail LS Bike Rack. "This is a long-term review. I bought this 1-1/2 years ago and really want to like the rack - the trays and locking arms are fantastic, the folding features work great and it's fairly light. The problem I have is the metal "shim" that is supposed to keep the hitch from wobbling. It works for awhile, but then you find that it loosens itself during a drive of less than 30 minutes. I've gotten out and tried to tighten it several times, but alas, it's the shim that won't stay put, no matter how hard I tighten it AND line it up. I don't trust this hitch to securely hold for any period of time, definitely not for a long trip. It hasn't aged well, and when I've contacted Rocky Mounts, they've never responded. Don't get this, no matter how good the "first look" reviews are online.